In 1971, in a backyard in Malibu, California, our original founder took an old surfboard and carved out two places — one to sit in and another for his scuba gear. That's right the Ocean Kayak was born thanks to a passion for scuba diving. Today, tens of thousands of boats later, we're one of the world's biggest manufacturers of sit-on-top kayaks. 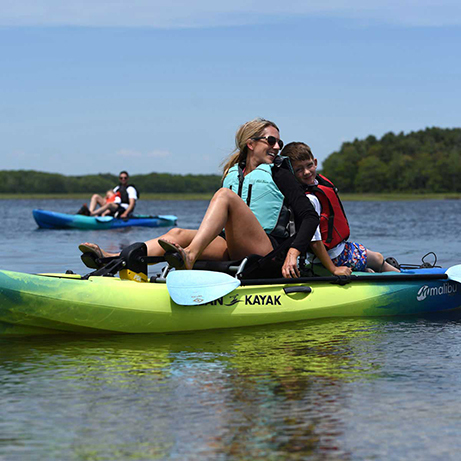 Our operation is located in Old Town, Maine, but we distribute kayaks all over the world. As we move into the future we plan to continue to innovate and design our boats to get more people out on the water and enjoying the sport of kayaking. Fun, zippy, stable and has turn-on-a-dime performance. Element Beach Seat (EBS) with mesh storage pocket underneath. A kid's jumpseat makes family outings a breeze. 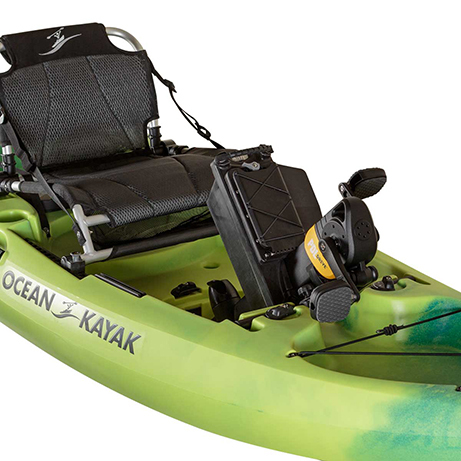 I purchased the Ocean Kayak Malibu Pedal and will admit I was a little nervous spending this kind of money. After taking it out I am so glad I made the purchase. It is comfortable and easy to maneuver with very little effort. I spent seven hours on the water pedalling almost nonstop with little to no leg fatigue. It is very stable and has no problems in windy conditions. I can't wait to get out on the water again. Ever wonder what it takes to create the beautiful photographs and videos you see on our website and social media accounts? 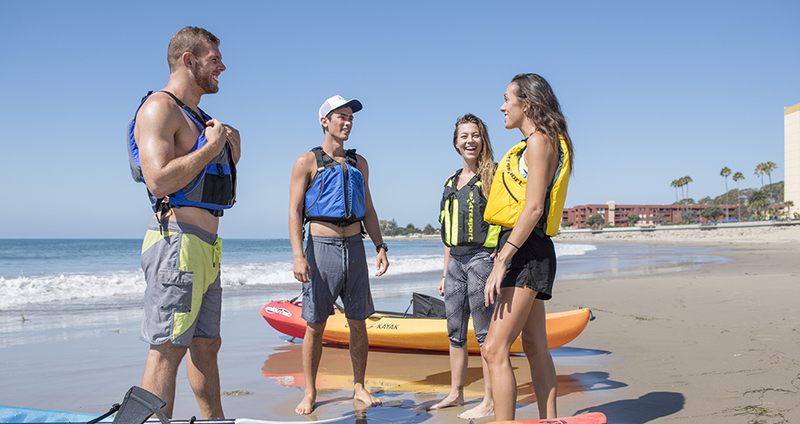 Today we talk to Brand Manager Ryan Lilly who recently flew from Maine to California to shoot the latest Ocean Kayak boats. 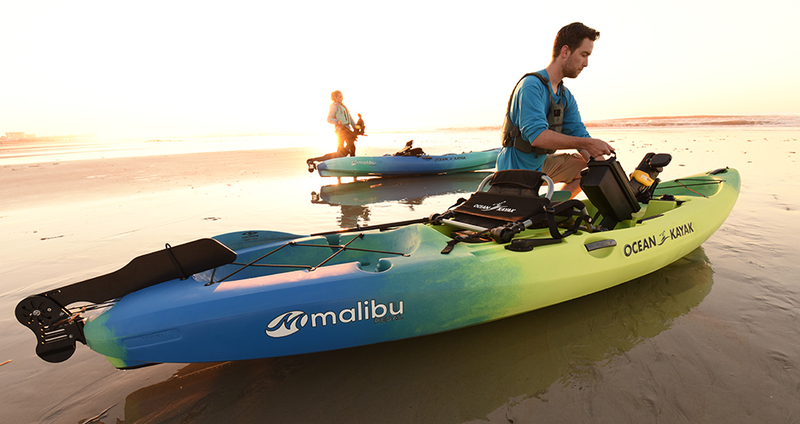 The all-new Malibu Pedal is the perfect kayak for adding a little fun to your daily routine. Meet Theresa and Lois, two hard-working moms with very little time to spare, as they talk about balancing work, family and fun in their busy schedules. 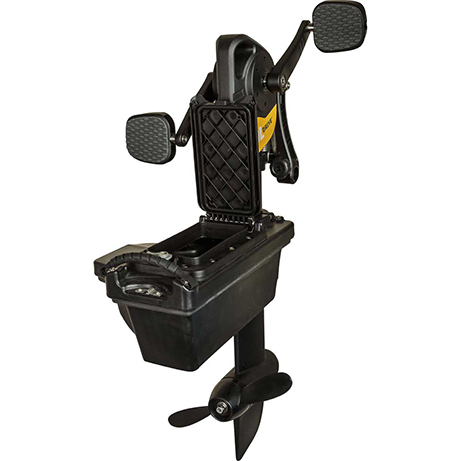 The Malibu Pedal allows them to add some fun and adventure to their day while getting them out on the water.